OMG, it has been just over one year since I closed Ruby Rose Cowgirl Clothes in downtown Gardnerville, NV. Do I miss the friends I made? Uh Yeah! Especially Kati Malone from Classical Glass! What a total sweetie–beautiful inside and out. But, after one year of loading and unloading my trailer I ask myself if I made the right decision. The answer is a definite YES!!!! In one year I have put over 10,000 miles on my truck–that is just over 3 USA cross country trips. Wow. From the ranch here in Gardnerville to Paso Robles, Red Bluff, Powell Butte, Nampa, Las Vegas, Reno, Fallon, Rancho Murrieta, Genoa and some places back again, these are towns I have been to in the past 12 months. I have met so many wonderful cowgirls along the way. Now that I have my route down, I get to see all of you incredible women again in the next coming months. So, yes I have enjoyed my Gypsy Cowgirl Lifestyle and I have loved being home. When it is time to get on my horse to bring the cows in, I get to do it. When it is time to feed the cattle, I get to do it. When it is time to clean stalls (every day), I get to do it! When it is time to go out irrigating, I get to do it! When it is time to plant flowers and vegetables, I get to do it. When it is time to sit out on the patio with my husband with glasses of wine in our hands toasting each other for all we got done that day, I get to do it!! This change of lifestyle has been a challenge to get used to at times. At first, I found myself starting about a zillion projects that I had been wanting to get to over the prior 5 years. Then of course I got frustrated with Kim because I was totally overwhelming myself. But, I have started to slow down and focus on what is truly important to me. This has also affected what I want Ruby Rose Cowgirl to focus on. This crazy Kim wants to be everything to all of you cowgirls which of course is absolutely IMPOSSIBLE! I will narrow it all down. What I LOVE, LOVE, LOVE to do is find really nice cowgirl shirts, t’s, hats, handbags, jewelry, belts and whatever else catches my fancy. Then I get super excited helpin’ you put it all together whether you are headed to the arena, to a concert, to a night out, to a rodeo, to a bull sale, or to the ranch. When you walk out of my booth or my showroom, I want us both feelin’ great about what you just invested in! What else do I really like to do? Do a little writing now and then basically just yakking about something that wonders across this old brain of mine. Mostly, I love inspirational articles because I know that I need inspiring on a pretty regular basis. Of course, I will be posting pictures of new cowgirl fashions that have come in. And I like letting you know where I’ll be heading off to next or about something I have planned here at the ranch. By no means am I an equine expert but I do knows lots of people so if you have questions, I can usually get you to someone who has an answer or advice for you. I would really like to get a Ruby Rose Riding Club up and ridin’. And there is http://www.rubyrosecowgirlclothes.com that needs my consistent attention. Alot of you are totally into Facebook, Instagram, Pinterest, Twitter, etc. and that is great. I have tried posting to all of them but it is pretty impossible for me to keep a handle on it cuz then I would have to give up my major priorities. I’ve tried delegating responsibilities to others who are more than willing to help and not that I am a control freak (well, maybe I am just a little), it just isn’t the same. How’s that? Totally doable for this crazy cowgirl! I really look forward to Year Two! Hope to see you soon! “Getting Motivated” to accomplish a goal or task can sometimes be a challenge–especially when I am looking at a trailer full of racks, supplies, merchandise, and everything else I need for the RRCC Road Show and I see that not only do I have a long ramp to go up but then I have another 100 yards or more to carry all of my “stuff”! Whew! 25 trips later (or more) and I’m done! Then at the end of the day, I step back and see that space that was once empty is now a fully stocked “Ruby Rose Cowgirl Clothes”. I get a huge smile on my face! I did it! Oftentimes I get asked if I work out and say “Uh, Yeah!! !” There are some times tho when I ask myself “How am I gonna do this?” Here are some Motivational Affirmations that I have found helpful. Hope they come in handy for you when you feel the need for a little push to get yourself going!! *I can do it, I can do it, I can do it, I can do it! *I enjoy challenges. I take them head on and win over them. *My work is my motivation. I work continuously til I achieve. *Life is beautiful. Life is fulfilling. I love life. *The only option for me is success. I forge ahead and ultimately, succeed. *Motivation comes to me from inside. I am my own motivator. Wishing you lots and lots of motivation throughout your day, week, month, year——-LIFE! I don’t know about y’all, but bringing Peace and Harmony into my life is of major importance! Sometimes, it is easy and other times, well, it takes alot of work! What I find helpful is to stop, close my eyes, and take some deep belly breaths. Then I repeat over and over one of the following affirmations. I hope they come in handy for you when you feel your world getting a little out of control! “I am peaceful even in the midst of confusion”. “I trust in the process of life”. “I release my past and choose to live with peace and harmony”. Wishing you a Peaceful and Harmonious Week! Seriously, since January I have been one busy cowgirl!! After my trips to Red Bluff and then Klamath Falls, I headed back home and for about month, life has been pretty dang crazy. But it has been a Good Crazy! Baby calves have been arriving almost daily since mid February. OMG are they adorable! What good moms those Black Angus cows are, too! Every morning when we are out feeding, I am just so amazed at how quickly those little ones grow. Watching them run and chase after each other is quite an amusing sight. I am so thankful to be able to start my day out there with them no matter what the weather!! So, sorry for the big lapse in my “Affirmation of the Week”! I’ll be back on track ASAP! Well, right now I am out following my passion and I feel so fulfilled. I am out on the road. For 7 days, I was in Red Bluff, CA at their Bull and Gelding Sale where I had my Ruby Rose Cowgirl Clothes booth. And now, I am in Klamath Falls, Oregon for the Klamath Bull Sale which is Feb. 6th thru the 9th. So, that means that I’ll be away from home for just over 2 weeks. Do I miss my husband, my son, my home, my animals, and my friends? Absolutely! But this is something that I really love to do–set up my booth at different ranch related/equestrian events. I get to meet so many wonderful people. I learn about them and their lives. I just love it. Is it hard work? Uh YEAH! Lift with your legs, right? Can’t bring my chiropractor out on the road with me. At night when I get back to my camper (Home Away From Home), I am pooped out. But I feel so fulfilled. Do I know why I was chosen to do this? Nope, I just do it and it has become my passion. I am so happy! I highly encourage you to find and follow your passions. There is lots of information out there to help you. In fact, in the coming months, I will be holding workshops at the Ranch that will help you do just do that. I AM passionate about my path in Life and pursue it with intensity and fervor. Everything that I do, always leads me straight to my passion. I live with passion, purpose and abundance! I am deeply passionate about life. I AM vehement in pursuing my goals. I do everything with passion & love. I radiate passion to everyone I meet. Every area of my life is filled with passion. I live with passion, purpose and abundance. No matter the challenge, my passion will carry me through! Be Grateful-It is that Simple! Yes, 2 simple words are the most important words EVER–THANK YOU! I’ve made a habit of writing down 10 things that I am truly grateful for. Every morning while I am enjoying my first cup of coffee, I sit down with my journal and make my list! Not only do I write what it is I am grateful for, I write “because . . . . “. This is something I have learned from Rhonda Byrne, the author of The Secret, The Power, and Hero. I am huge fan of hers. 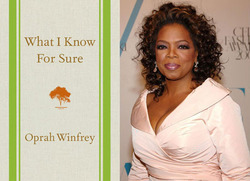 Since, I have been on the road alot, I download her books from Audible. I listen while I am driving, doing chores, and riding my horse. If you haven’t read, watched or listened to Rhonda, I HIGHLY recommend her. With her guidance, I have been able to make significant positive changes in my life. I am grateful for all the Universe gives me, & I know I will always have what I need. I am thankful that I am alive and well. I am grateful for all the lessons I have learned in my life, and I move forward knowing my life is getting better each day! And another great habit I have adopted is that every night after I climb into bed, I think of the very best thing that happened during that day. It is amazing all of the things I can think of. Try it!! You’ll fall asleep thinking of tons of things that were the BEST! Even after one of those most challenging of days, you will find something that was “The Best”! I feel truly blessed to have some wonderfully loyal friends. I must confess that I don’t make consistent time to spend with my friends but I am still incredibly thankful for them because they understand which makes me love them all the more! Here are some great affirmations for the week that are all about friends! And remember that I invite you to please share one or two that are important to you! I wish you a fantastic week full of wonderful friends! Affirm Happiness In Your Life! Here are some Happiness Affirmations to get your week started off on Jolly Footing! My Happiness is reflected in my smile and cheerful personality! I am responsible for my own happiness! I am excited about the new day and look forward to it with anticipation and interest! ALL OF MY DREAMS ARE BECOMING REALITY IN THE BEST POSSIBLE WAYS! Please let me know a favorite Happiness Affirmations that works great for you! Affirmations Are Back-With a Vengeance! I have this cool little kit that I bought from her website http://www.hayhouse.com. Go there when you have a minute and you will find TONS of tools that will help you make 2014 the Best Year Ever!! So, this week’s Affirmations are for Attitude. Here are a few to choose from and pick the one that feels the best to you. Write it down then put it somewhere you’ll be able to re-read throughout the day and week. When you need a reminder, just read it over and over. A great trick that I have learned is to say my affirmation in front of a mirror. You might feel a little silly at first but trust me, IT WORKS! My attitude grows happier and healthier every day! I act as though my prayers have already been answered. Smile, today is a new day! I believe in myself and have confidence in my abilities.